This Jewish MC schools us on all things kosher and vegetarian. 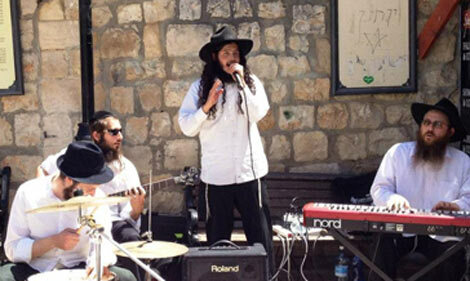 Cleveland musician Ari Lesser spits some hot kosher fire off the dome on the streets of Tsfat, and it is damn impressive. In the video above, the MC raps about his vegetarianism and kosher diet. Sneak peak: “No parrot/no matter how you prepare it/spare it/I’ll snack on a carrot.” Word. But we’re not too sure he’d have much to talk about with everyone’s favorite foodie rapper Action Bronson. Maybe Lesser and Bronson should have a rap battle which would forever end the carnivore vs. vegetarian debate.